The only current standard of care for boys with Duchenne is early treatment with long-term steroids, which gives some protection to muscles but with significant side effects. In July 2014, alongside three other Duchenne charities we funded a $2.1 million Phase 1 clinical trial of Vamorolone – an alternative anti-inflammatory drug that aims to maximise the benefit and minimise or remove side effects. We were delighted to hear that in March 2016 the project received a further £4.6 million of funding from an EU grant known as Horizon 20/20, enabling the clinical trial to progress to Phase 2. The charities contributed the funds under a co-ordinated venture philanthropy model, providing return on investment based on future drug sales. 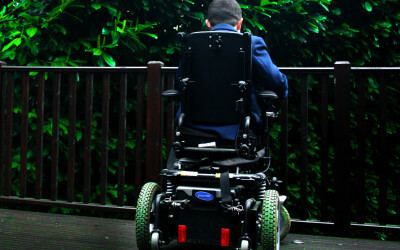 Vamorolone has been shown to be effective in animal models of Duchenne muscular dystrophy, and clinical trials in humans are now under way – in part, thanks to funds we and our partner charities have donated. In June 2018 ReveraGen shared results from its international clinical trial in 48 boys aged 4-7, which showed dose-related improvements of multiple function tests of strength and endurance. Click here to read the press release. In studies, the drug reduced inflammation and stabilised cell membranes, both of which are believed to be relevant to treating Duchenne, a disease in which muscle fibre membranes are unstable. The drug is thought to have similar properties to steroids such as prednisolone, which up until now have been the cornerstone of treatment for boys with Duchenne. The benefit of Vamorolone, however, is that it is thought to have significantly fewer side effects than existing steroids, which can be life changing in themselves. Side effects include diabetes, high blood pressure, osteoporosis, short stature and weight gain. Click here to learn more about the effects that current steroid treatments have on boys with Duchenne.